Nubia at IFA 2018 in Berlin on Friday unveiled the Nubia Alpha wearable smartphone concept on which production will be started in Q4 2018. There is, however, no word on which markets will get the phone first. 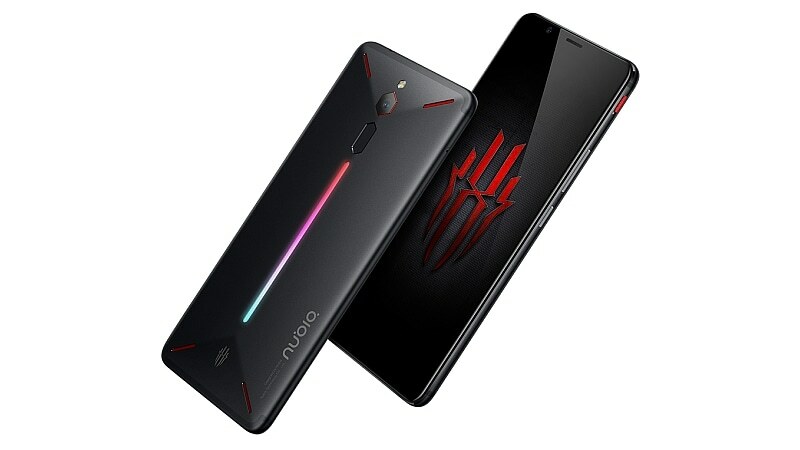 The company also showcased that the Nubia Red Magic, the Chinese smartphone manufacturer's latest gaming-focused smartphone, at the tradeshow. The handset gets a price tag of EUR 450 (roughly Rs. 37,200) in European markets, and was also announced to come to India soon at an unknown price. To recall, the Red Magic was first unveiled in China back in April at a starting price of CNY 2,499, and was subsequently made available globally via Indiegogo at a price of $399 (approximately Rs. 28,300) for early backers. Pricing and launch date details for the Nubia Alpha have also not been revealed by the Chinese phone maker yet. This unique device makes use of Flex, Nubia's proprietary flexible display technology, and features a light strip giving users the ability to customise it using themes. The phone comes with a specially tuned proximity sensor that determines the orientation of the wearable smartphone. The company was also touting 4G connectivity, and a smart camera with one-touch modes. No other details around the device have been shared yet. Ni Fei, General Manager of Nubia Smartphone, said, "We see the future of mobility as a large canvas for us to paint on to represent the best of ideation from our design labs. The Nubia Alpha brings the company's innovative smartphone features and professional mobile photography functions in a wearable format that perfectly complements one's bespoke lifestyle and raises the bar in innovation and versatility for a mobile communications device." In the meanwhile, the Nubia announced that the Red Magic will be "coming soon" to India. Though the company didn't reveal a launch date, it can be expected to arrive in the country sometime later this year. The dual-SIM (Nano) Nubia Red Magic runs the custom Nubia Red Magic OS on top of Android 8.1 Oreo out-of-the-box, and sports a 6-inch full-HD+ (1080x2160 pixels) LTPS TFT panel with an 18:9 aspect ratio and an 85 percent screen-to-body-ratio. The phone is powered by a Qualcomm Snapdragon 835 SoC, paired with 6GB/ 8GB of RAM and 64GB/ 128GB of onboard storage. In the camera department, the Nubia Red Magic bears a single 24-megapixel rear camera with f/1.7 aperture, a 6-piece motor driven lens, and an ISOCELL image sensor. On the front, the handset gets an 8-megapixel selfie camera with f/2.0 aperture, a 76-degree wide-angle lens, and a BSI sensor. There is a 3,800mAh battery under the hood with NeoPower 3.0 and Nubia's fast charging capabilities.